At Ellesmere Port Minibus, we offer you friendly and professional chauffeurs who will ensure that you ave safely arrived at your destination. We are a company that is very focused on employing only the best drivers to serve you. Even if it is your first time to hire with us, you can feel comfortable knowni8ng that all our drivers have undergone extreme training, to sharpen they're driving and road safety skills. hire services also come with a driver. Feel free to fill a form online for your hire bookings. If you have any complex issues, it is advisable to place a call to our customer support team. At Ellesmere port minibus hire, we have a smart, professional and experienced driver dedicated to the job the driver carry our day to day travel plans ensuring you get the best epic experience with our company. 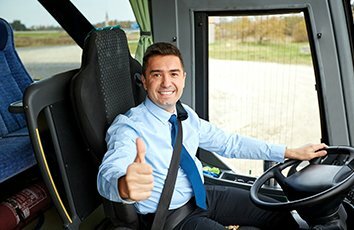 We understand that our drivers and they are dedicated to providing the best experience for minibus and coach hire services in the local area. trained in customer service. They are also have profound knowledge of vehicles and roads. To ensure that they are constantly in line with company policies, we check them consistently for alcohol and drug usage. Punctuality - Our drivers are known to keep time, both for pickups and dropoffs. In fact, our drivers make the effort of arriving at the pickup minutes before the actual time, to maximise punctuality. All you have to do is relax and get comfortable as our driver takes care of transportation. All you will be required to do is get in the vehicle during pickup and climb out at dropoffs. If you allow our drivers to transport you, you will then be able to enjoy seeing all the attractive sites in Ellesmere Port. Our drivers know the city well, thus they will be able to navigate busy roads and heavy traffic. You also have fewer chances of getting lost.